Hello everyone, my name is Abebe Tinari. I’m a game designer here at PlatinumGames. 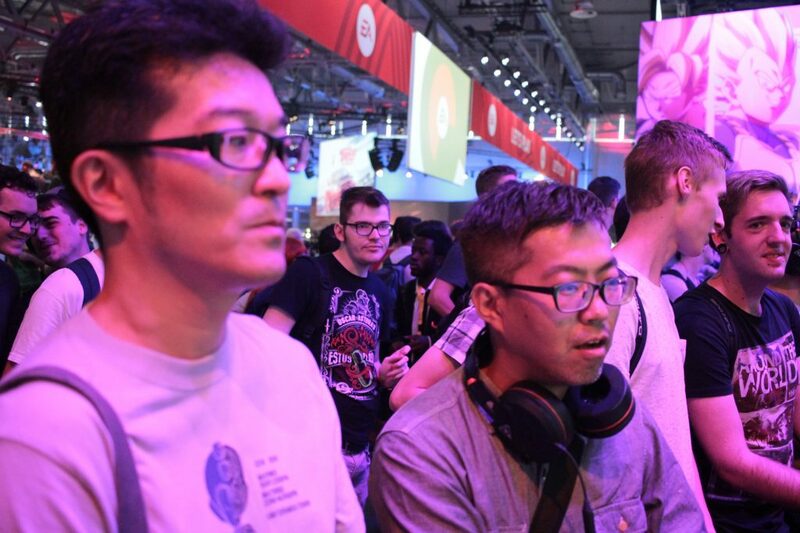 This year I, along with four other members of the Platinum staff, had the opportunity to attend Gamescom in Cologne, Germany. 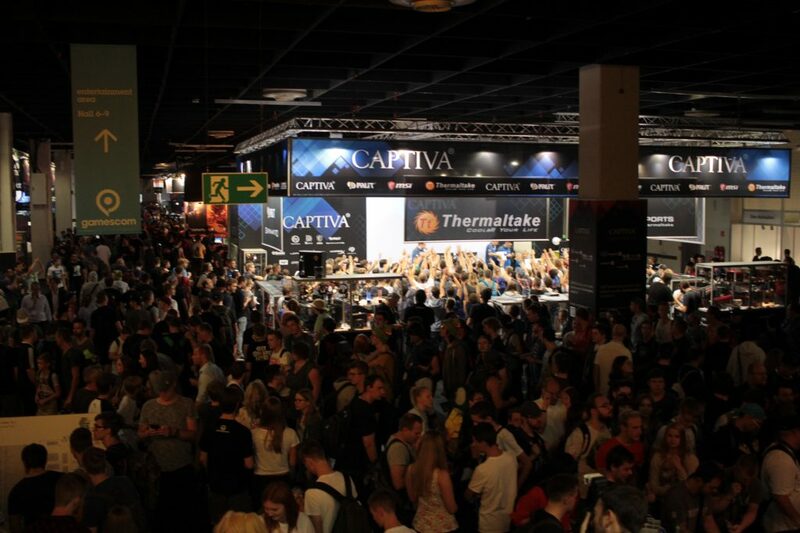 Gamescom is the largest game show in the world, where companies from around the world show off games ranging from indie games to AAA, and everything in between. Our trip began with an early start. 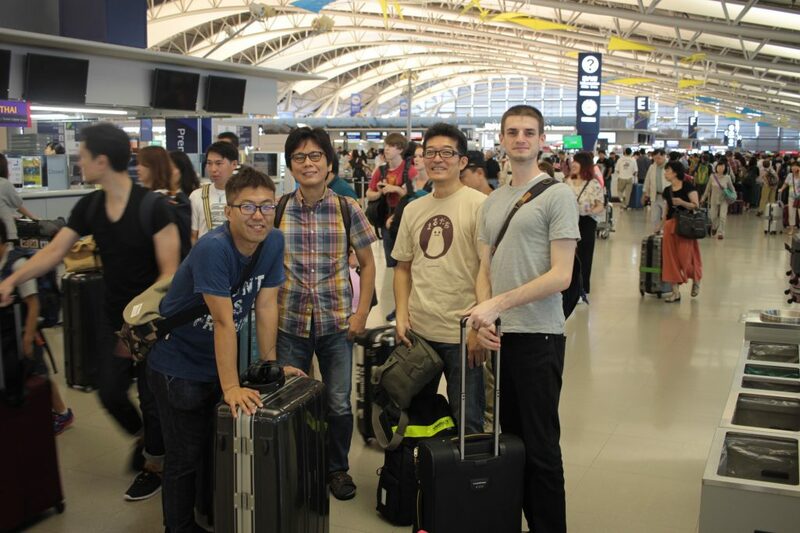 From left: Producer Eijiro Nishimura, composer Naoto Tanaka, game designer Akiteru Naka, and Tinari (the author of this blog.) Artist Hajime Kimura – the unofficial cameraman for the trip – is behind the lens. 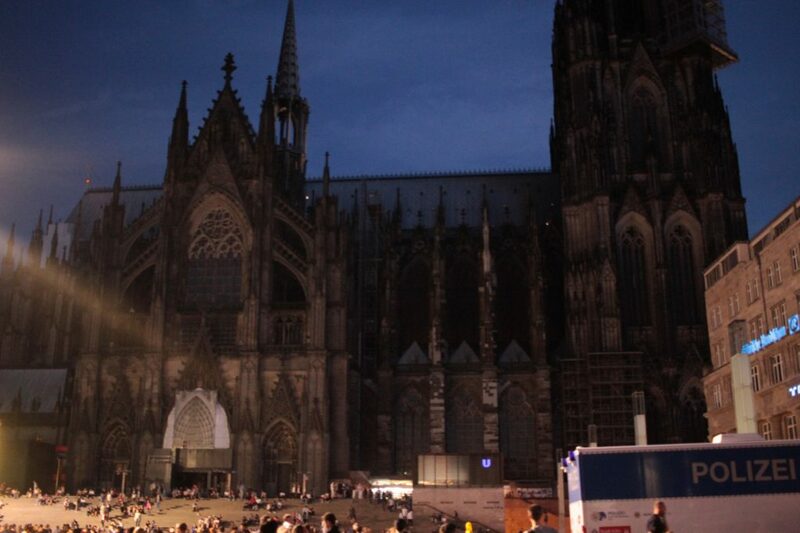 After a long trip we finally arrived in Cologne. Although it was about 9 p.m., the sky was still bright. 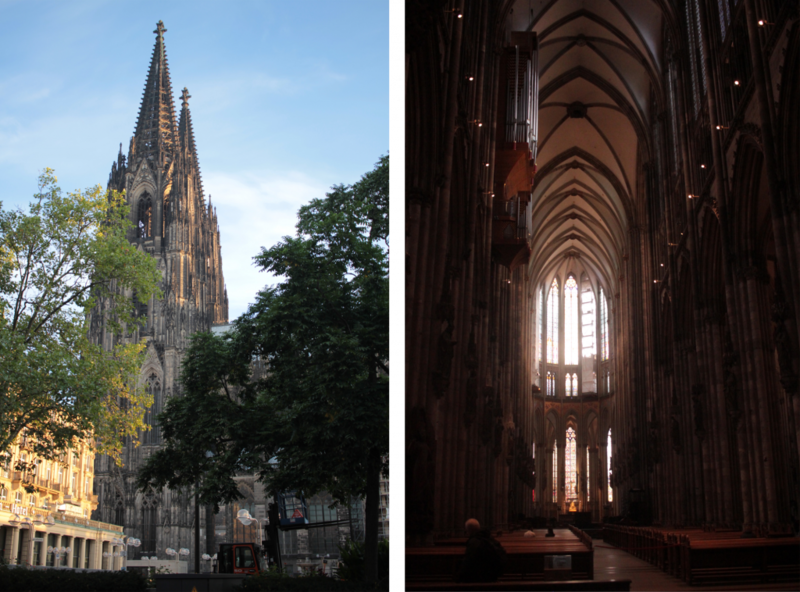 Cologne is famous for its cathedral, and they don’t make you wait long. 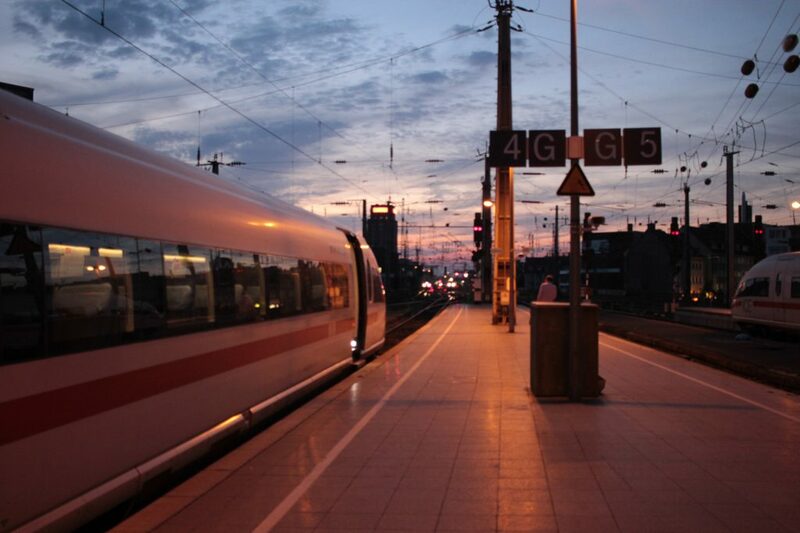 Upon exiting the station you are immediately met with a stunning view! 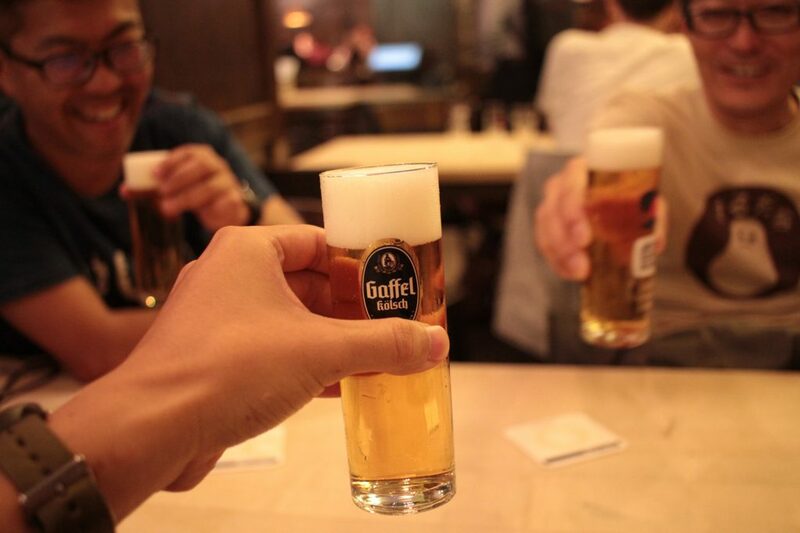 We wasted no time celebrating our arrival with a round of beers. The inside of the show was like a page of a “Where’s Waldo?” book come to life. We tried to find games that had reasonable lines, and managed to get some hands-on time. I was waiting in line when Naka and Kimura happened to walk by. My biggest impression was the sheer size of the show and number of people. You can really feel the passion of the fans who wait hours in line just for a couple minutes with a new game they are anticipating. 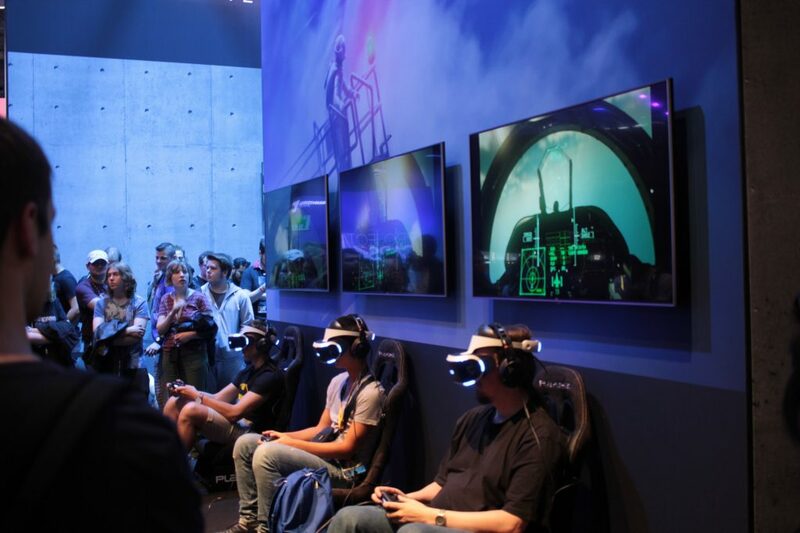 Walking around the show floor, you get a sense of the trends in the game industry, like eSports, VR, and indie games. Thankfully, yes! We were extremely happy to meet these two talented cosplayers on our second day at the show. Since it is not every day you have a chance to go to Germany, we decided to make some time to see a little of the city outside the convention center. Of course, we were determined to get a proper look at the cathedral. It is unreal; almost like something out of a game level! 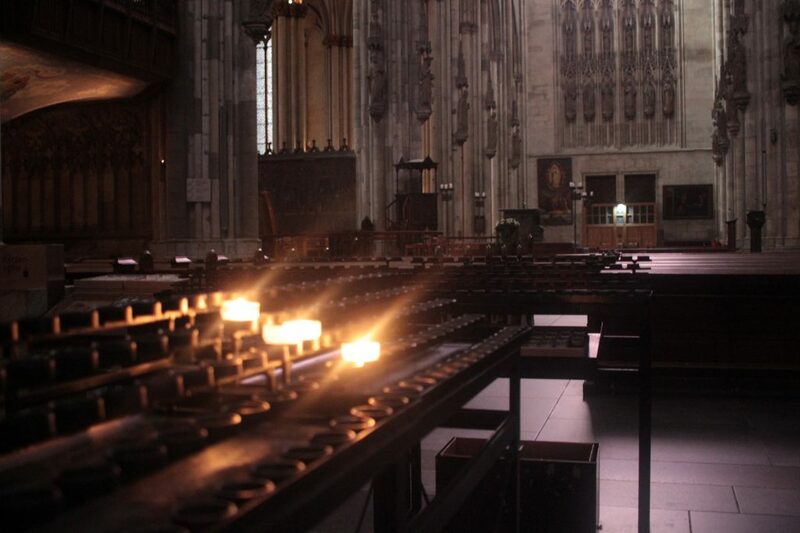 Whether you look from outside or in, the cathedral has a powerful presence. My favorite of Kimura’s artistic shots. There is also a famous board game shop in Cologne. Naka and Kimura went to check it out. As expected, the store was packed floor to ceiling with games. Those Germans know their board games. 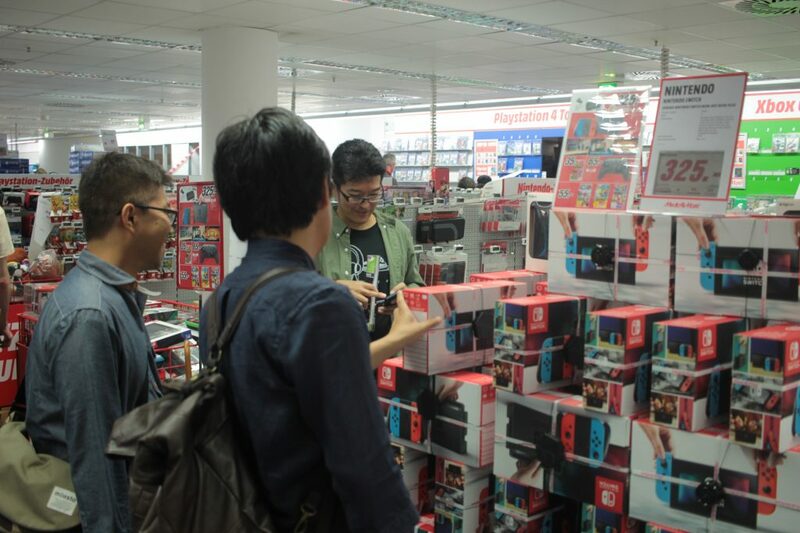 We were surprised to see so many Nintendo Switches in stock in Germany – it’s still sold out everywhere in Japan! 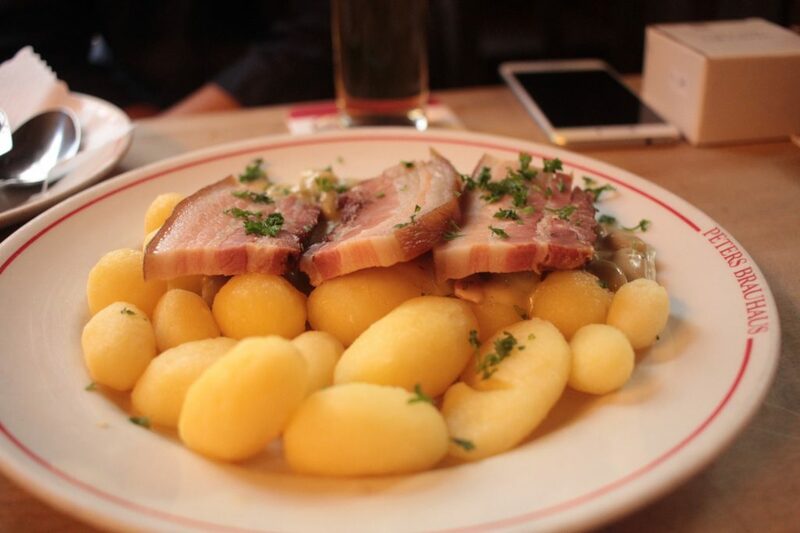 Our experience with German cuisine consisted of various permutations of meat and potatoes. 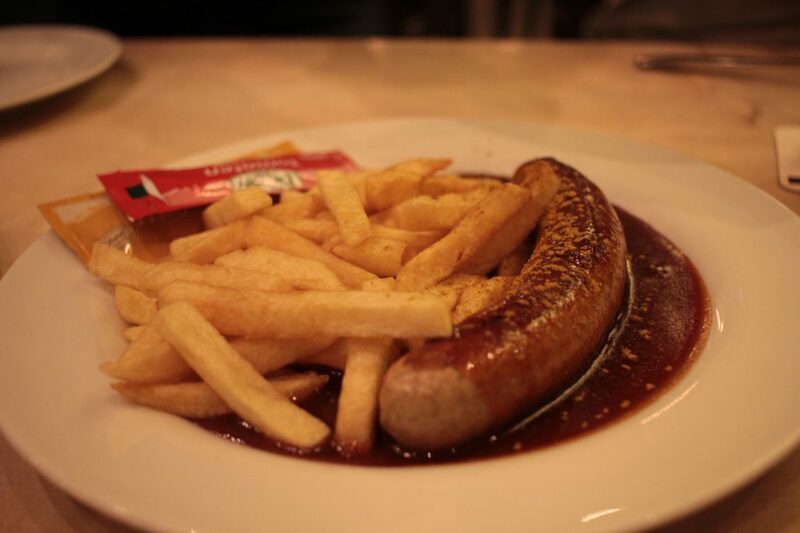 I’m not complaining – everything was delicious! PlatinumGames is based in Japan, but our titles are translated into many different languages. We aim to make games that will be loved by action game fans the world over. 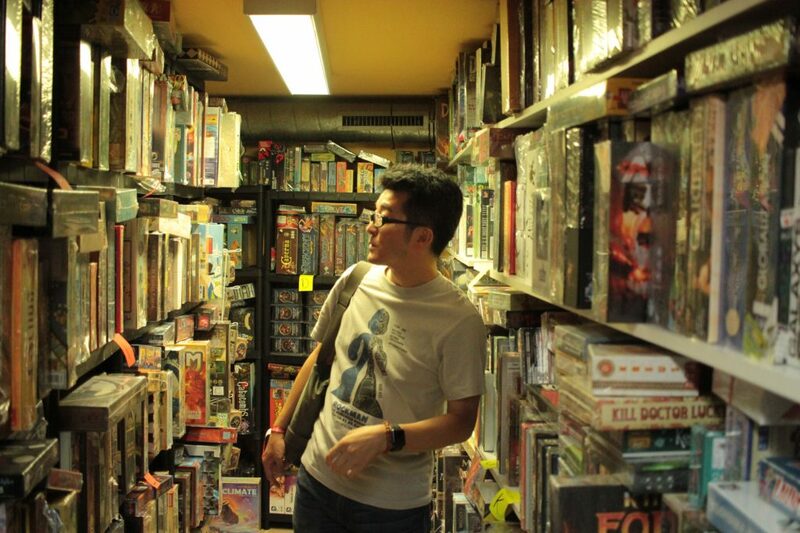 As such, it is important to us to learn how people think about, sell, and enjoy games in different countries. The company gives us chances to participate in game shows and other events around the world. 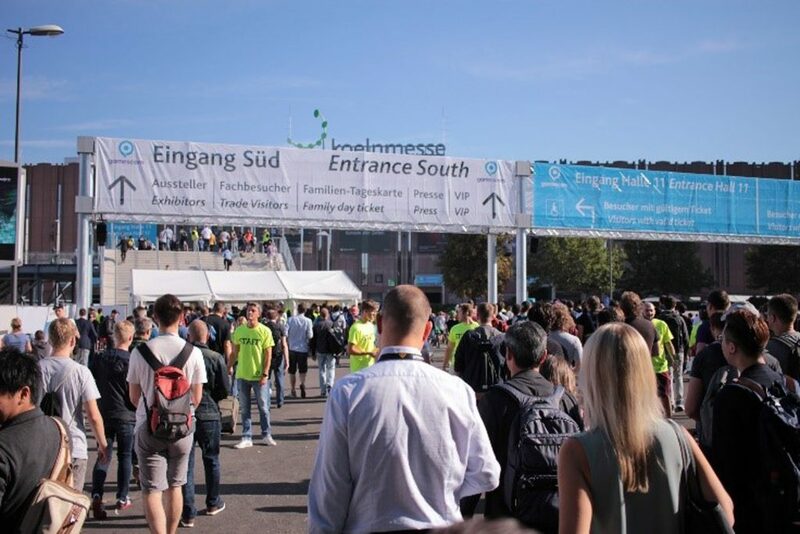 There really is nothing comparable to actually visiting another country and experiencing their culture firsthand, and it was great to have a chance to take part in an international event like Gamescom. The staff members who go on these trips change each year, so I have no idea where or when I will get a chance to go next. Until then, I will just do my best making games here in Osaka! Hailing from Canada, Abebe Tinari came to PlatinumGames in 2013, originally providing localization support for Bayonetta 2 and The Legend of Korra. After that, he made the jump to game design. 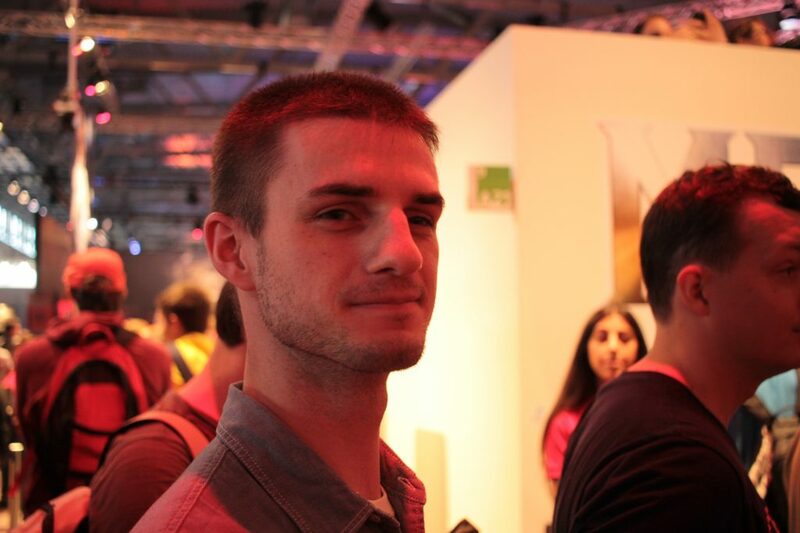 He was a game designer on Star Fox Guard and is currently working on an exciting new project.